The catalogue of disasters emanating from Gosford came to an awful head on Saturday night. 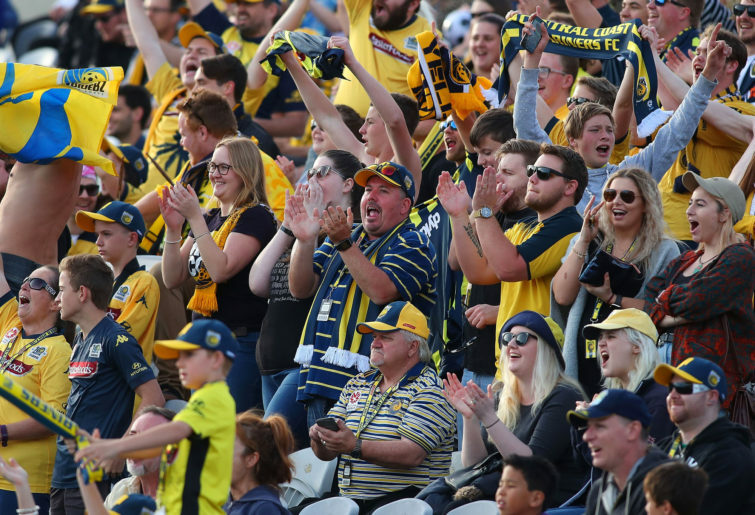 The Central Coast Mariners fell to a demoralising 8-2 loss to Wellington Phoenix, a scoreline identical to their final match of last season at the same venue. For at least three seasons now, death-riding the Mariners has become so prevalent it may be offered up as an Olympic sport in time for Tokyo. It goes to show that football fans have short memories and glosses over the importance to the FFA and the A-League of a healthy, viable Mariners club. Of course, they’ve been anything but healthy of late and are becoming a lot less viable. For the good of the game, the governing body needs to do something to help steer the Mariners back towards something akin to the QE2, rather than the Titanic it is fast becoming. There is only need to look at the Mariners history to know that a club on the Central Coast is vitally important. Given the current turmoil spilling into Brisbane Water like a major oil spill, it’s easy to forget that the Mariners, despite the smallest catchment area in the league, have been more successful than all but three other sides in A-League history. It’s easy to forget that a decade ago, the Mariners were averaging 15,500 spectators to their home games. It’s easy to forget that the likes of Mile Jedinak, Mat Ryan, Trent Sainsbury, Tom Rogic, Bernie Ibini and Mustafa Amini cut their professional teeth at Central Coast Stadium. It’s easy to forget that the Mariners were the first A-League club to open a Centre Of Excellence. While all those players have moved onto bigger stages, it is not the loss of any one player that could be seen as the catalyst to the Mariners slide into horror. Rather, it is the loss of inaugural coach Lawrie McKinna that has harmed the Mariners the most. I’ve expressed my admiration for McKinna in a previous article but he, along with assistants Alex Tobin and Ian Ferguson, had the formula to make the Mariners successful, both on and off the pitch. For the first eight seasons, the Mariners belonged to the people of the Central Coast. It is a professional sports experience almost unlike any other. Fans would come sunburned and sandy straight from the beach and pile into the ground to watch a side that played for them. It was a unique family atmosphere and the region adored the side, even in the seasons where they didn’t (over) achieve. Along with McKinna, whose popularity would lead to him becoming the Mayor of Gosford, there were guiding lights of the business community behind the scenes, with the likes of John Singleton, Peter Turnbull and Lyall Gorman contributing to the evolution of the club. The Mariners’ success was even more significant, given they had the region to themselves. NRL, AFL and rugby had no footprint between Patonga and Gwandalan. Sure, the NRL plays a handful of games at the stadium every season but in the Mariners most successful period, those games drew no better than the club that truly called the place home. FFA had claimed a territorial victory over its sporting rivals. Junior registrations in the region continued to grow and current Socceroos coach Graham Arnold led the club to the promised land when they finally won the A-League title in 2013, after three previous grand final defeats, including the 2011 decider in Brisbane that realistically launched Ange Postecoglou’s coaching career into orbit. It is often said that the slide began when Mike Charlesworth took control of the club. It’s not easy to refute the argument, as Charlesworth took a majority share of the club only a month before they won the 2013 grand final, and haven’t looked likely to do so since. However, Charlesworth had already been involved in the club before that time, and took control to ease some financial woes that had befallen the club during their most successful on-field season. That said, he has hardly endeared himself to Mariners fans during his ownership, even attempting to move half of their home games to a non-existent supporter base in North Sydney to a ground totally unsuited to watching football from a ground purpose-built for it. In the first nine A-League seasons, the Mariners had two coaches and were a model of stability. With an impending appointment to replace Mike Mulvey, sacked at 1.00am on Sunday morning, they’ll be handing the clipboard and whistle to their seventh coach in five years. There is no point banging on about promotion and relegation and declaring that the Mariners “don’t deserve” their A-League status, that they’re hardly worthy of NPL status. That is both inaccurate and grossly unfair to the supporters on the Coast – and they are still out there, waiting to be engaged with. For that has been the absolute downfall of the club. They’ve failed to build on all that early work. The Mariners are still the focus on the Central Coast – there are enough people wandering around in replica shirts, large displays in major shopping centres, many reminders of the Mariners existence at indoor centres, on billboards, in passing conversation. More than 10,000 people turned up to watch a trial game only months ago, fuelled by curiosity over Usain Bolt. They were given no reason to stick around. Sacking Mike Mulvey was inevitable but will do nothing without a lot more change behind the scenes. Charlesworth denies he was offered $8.5 million for the club earlier in the season but unless he is willing to do a lot more than remain anonymous while his club sinks, he should sell up or have the FFA step in and do it for him. 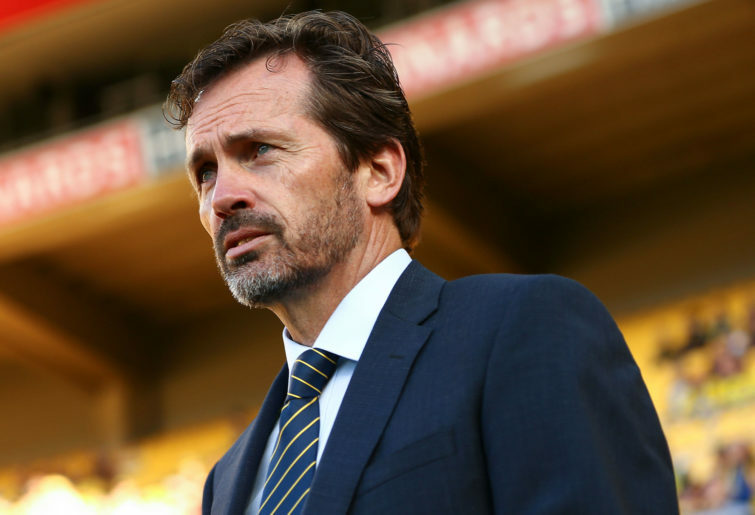 The blueprint for club success is already there and Mulvey reportedly contacted McKinna before the start of the season to see what strategies worked in the past. He didn’t employ them. Maybe the Bolt circus was an unwanted distraction, and there is no doubt the cruel luck of losing both Ross McCormack and Tommy Oar for most of the season has not helped the side’s 2018-19 campaign. Results are important and terrible results – as the Mariners have produced this season – do nothing to attract the lost hordes. But it wasn’t only results that attracted the hordes in seasons past, it was ownership. Not the Mike Charlesworth type of ownership but the one where the community is part of the proceedings, where everyone that attends the unique stadium with the palm trees and sauce bottles feels like a participant, a family member, a part of the furniture. That was the blueprint that had them streaming through the gates not so long ago and made going to a game in Gosford a must-do experience.